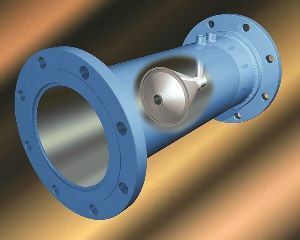 With decades of proven performance, the innovative V-Cone® Flow Meter from McCrometer conforms to the new industry standard ISO 5167 Part 5: Cone Meters , which helps engineers make better informed decisions about cone flow meters in the same way that they’ve relied on Parts 1-4 for other types of differential pressure (dP) meters. “We’re proud to have assisted in developing this new ISO standard for cone meters, which is something that our customers have been requesting for years,” said Nick Voss, General Manager of McCrometer’s Oil, Gas & Industrial Process business unit. “With multiple suppliers making various claims, our customers have long wanted the International Standards Organization to provide them with assurance about cone meter accuracy claims and installation requirements,” Voss said. McCrometer’s V-Cone meter, Voss explained, already conforms to the American Petroleum Institute’s API 22.2 Testing Protocol for Differential Pressure Flow Devices. It also is certifiable to local or regional standards including: Measurement Canada, INMETRO, GOST and others. “With ISO, there is now a second respected global standard for cone meters, which explains their principle of operation, the differing performance accuracy of calibrated versus uncalibrated meters and their minimal straight pipe run installation requirements,” Voss said. The new ISO 5167-5 standard confirms that uncalibrated cone meters perform at no better than ±5% accuracy. Laboratory calibrated cone meters, such as the V-Cone meter, are accurate to ±0.5%, which is a significant performance difference. In addition, the new standard includes a groundbreaking section, providing explicit guidance on how to calibrate a cone meter. This includes a recommendation that each flow meter is calibrated in laboratories accredited to the ISO17025 standard. McCrometer operates one of only six flow labs in the USA accredited to ISO/IEC 17025:2005 through NVLAP. Finally, ISO 5167-5 verifies cone meters can be installed with a straight pipe run of only 0-3 diameters upstream and 0-1 diameters downstream. This feature is useful in crowded locations or where space and weight are a concern such as offshore platforms and vessels.